You must have noticed that the mutual fund and equity markets in India have boomed when markets in Europe and the USA had crashed after the USA Subprime Crisis. The BRIC’s nations had generated stupendous returns after the markets crashed in the West. These BRIC (Brazil, Russia, India and China) came to be known as the emerging markets. Huge inflows of FII (Foreign Institutional Investor funds) came pouring into the Indian market. All you have to remember is May 2009 when just after India’s elections when the United Progressive Alliance came to power the BSE Sensex hit two upper circuits in a single day. The NRI’s have noticed all this and want to join the party. The question at the top of their mind is "Can We Invest In India And Join India’s Growth Story".The Answer To This Question Is A Resounding Yes I would like to remind all of you that the team of financial planners at IndianMoney.com are always there for you to plan your mutual fund needs in an efficient manner. 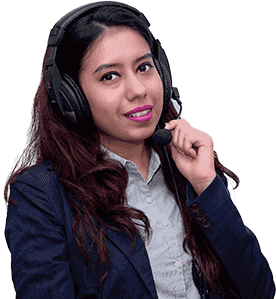 You can explore this unique Free Advisory Service just by giving a missed call at 022 6181 6111. The first thing an NRI needs to do is to open a bank account in India through the NRE route or through the NRO route in Indian rupees. Through the NRE account the NRI can repatriate funds outside India without any restrictions. If you invest your overseas earnings in India you will need an NRE account. So Keep That NRE Account Ready? Non Resident Indian’s from most of the country’s can purchase mutual fund units in India .However there is a problem with regard to NRI’s staying in the US..A rule has been framed by the US Securities market regulator SEC (Securities And Exchange Commission) which states that only those fund houses globally or locally registered with the SEC can take up USA citizens or USA NRI money. A lot of Asset Management Companies in India have chosen not to accept USA Non Resident Indian Citizens funds..Since this is a US Government rule and not an Indian rule the NRI clients funds are invested in purely Indian domiciled fund houses. The US citizens can invest in mutual fund schemes available in the US itself which invest in companies based in India These companies have offices and teams of researchers based in India itself where they use the local talent to conduct research. These funds are actively managed in the USA. Indian fund houses have opened branches abroad or set up offshore mutual funds in foreign countries. Many fund houses of India have opened offshore mutual funds in the Gulf and South East Asia such as Singapore in order to tap the NRI funds. The NRI has to submit relevant pages of his passport which includes his name, photo, date of birth and address. He also has to compulsorily submit his overseas address either his permanent or his corresponding address. The NRI invests in the mutual funds only in Indian Rupees. Mutual fund houses cannot deal in foreign currency. The NRI has to open an NRE/NRO/FCNR with an Indian Bank. The amount to be invested is directly debited from his NRE/NRO account or through inward remittances which is mainly transfer of foreign funds through banking channels. 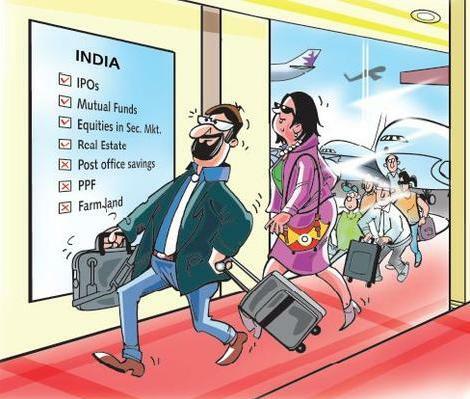 An NRI gives a rupee cheque or draft from his NRE/NRO account .He can also send a rupee cheque or draft issued by an exchange house abroad drawn on its corresponding bank in India. The investment made through cheques or drafts should include a foreign inward remittance certificate (FIRC) which is attached to the application form. This is a letter issued by the bank confirming the source of funds. FIRC is the proof of payment received by the individual from outside the country in a foreign currency. It is issued by the bank where you have the account to receive the funds. The Pan Card also needs to be submitted. After the investments are made you have the tedious task of managing your funds and tracking the market movements which might call for a purchase of additional units, switching and redemption of units even as you are away. How would you manage all this?.You can have a Power Of Attorney holder to take and execute your decisions. The Power Of Attorney holder needs to submit the original power of attorney or its attested copy to the fund house. The POA has the signature of both the NRI and the POA holder. The POA signature will be verified for processing any transaction. An NRI can make a resident Indian his nominee .Fund houses allow an NRI to have a joint holding with another NRI or a resident Indian in a scheme. Redemption proceeds are payed through cheques or directly credited to the investors bank accounts. All the profit earnings through these funds are in Rupees. Investments made through inward remittances or from NRE/FCNR are fully repatriable. Earnings made by dividends or redemption of units are fully repatriable. In case of investments made through NRO accounts only the capital appreciation is repatriable and not the principal amount. Choose between an Indian domiciled mutual fund which invests only in Indian Rupees or a dollar denominated offshore fund which invests in Indian Companies. It has been found that over long term periods say five years the local Indian funds outperformed the off shore funds tapping their local expertise and knowledge of local conditions and are better than the offshore funds investing in India. Offshore funds have a high entry load in the range of 5-6%..The regulator of the capital markets in India SEBI has removed entry loads in India. Taxation laws are same for NRI’s and Indian residents, mainly a 15% short term capital gains tax and no long term capital gains tax. However for NRI’s tax is deducted at source. Let us consider an Indian NRI in the U.K. who invests in offshore Indian mutual funds. The funds are converted into Indian rupees and then invested in Indian markets. Any appreciation or depreciation of Indian Rupees will have a direct impact on the offshore funds performance for better or for worse .Similarly if you invest in an Indian Domiciled mutual fund the foreign currency is converted into Indian rupees and the currency risk emerges until the rupees are reconverted into the foreign currency and this has to be taken note while investing in Indian Domiciled funds. An Equity fund has a short term capital gains tax of 15% if the investor stays invested for less than a year for a resident Indian and there is no long term capital gains tax charged if he sells units after a year. A mutual fund is considered to be equity related if it invests 65% corpus in equity funds .In this case there is a slight difference between tax charged for NRI’s and a resident Indian. As per current Indian laws every resident Indian in the year 2012-2013 is allowed a minimum amount of up to 2 Lakhs in which no tax will be charged. However if the Indian Resident doesn’t have any income and all other incomes are less than the minimum tax free slab then Short term capital gains tax of 15% is not charged for Equity/Balanced funds. In the case of an NRI he has to pay 15% STCG Tax on Equity funds/Balanced funds irrespective of other incomes in India. In case of debt funds Long term capital gains tax is charged at 10% without indexation benefits and at 20% with indexation. You may have noticed that there are 2 rates of LTCG .One rate has 20% indexation where the effects of inflation are taken into effect and net capital gains are reduced. This implies a lower taxation rate. An investor can opt not to choose the indexation benefits and take 10% without indexation. The taxation rates are same for Resident Indians and NRI’s in this case and the NRI has to choose which scheme he wants. Short term capital gains tax is charged based on the tax slab of the investor. These rates apply even for Liquid funds and Gold funds. The NRI is taxed in the same way as the Resident Indian. If an NRI is residing in the Middle East there is no tax charged there and he doesn’t have to worry about secondary tax issues. The Indian taxation laws govern him in this case. UK NRI’s do not pay tax on their mutual fund investments till they sell them. Any capital gains on selling these funds will be taxed as normal UK income under the respective tax slab of the person .In USA it is taxed as a normal capital gains transaction. Even though LTCG is tax free in India it might not be tax free in the foreign country. However in all countries till the NRI’s do not sell their investments in India they are not taxable in their respective foreign countries. If India has a double taxation Avoidance Treaty with the NRI’s resident country you avoid paying tax on repatriation of funds. In case the country where you invest in offshore funds such as Singapore follows a more liberal taxation regime you could invest there. Do not choose an offshore fund only because of the tax benefits. I would like to end this article with the famous saying "To Accomplish Great Things We Must Not Only Act, But Also Dream, Not Only Plan , But Also Believe".